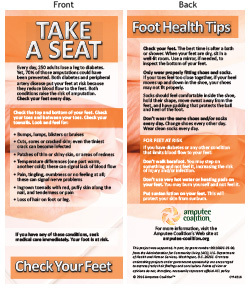 ized to fit in a #10 envelope or small literature holder, these quick reference cards help people keep their feet healthier. Each package holds 250 cards. You can order these cards free of charge while supplies last.